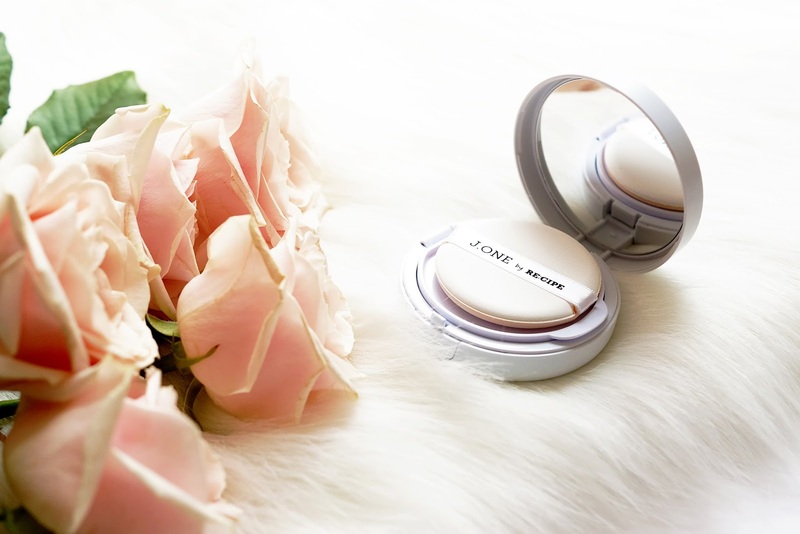 From the same line as the coveted Korean 'wonder product', the J One Jelly Pack (review here), I've high hopes of today's subject matter, the corresponding J One Jelly Cushion foundation. I am a hardy cushion addict and this promises radiant, nourished, flawless skin, so let's see how it fares pitted against my cushion collection. Formalities first, the cushion comes in 'standard' cushion packaging - a deep, plastic compact with mirror and tray for the airpuff. The outer is plain and unadorned, par the logo, the same simple, minimalist aesthetic as the Jelly Pack. These cushions come with a refill, and each holds 15ml of product. This cushion promises a lightweight, easy to blend formula that provides nourishment, SPF 50, and radiance to the skin, with full coverage. The formula immediately feels light, thin in consistency and the radiance is apparent from the get go - not necessarily a good thing for my combo skin. 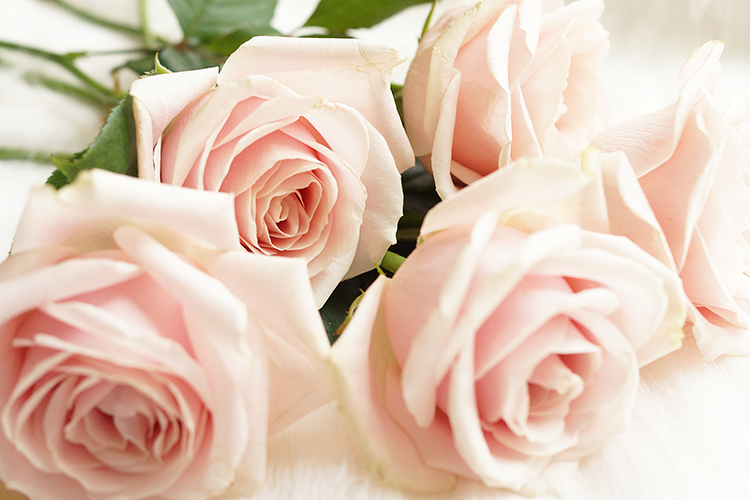 There's an extremely light, floral fragrance but it's pleasant and not at all strong or lingering. The airpuff is just like any other I've used, and the shade 21 seems to be a pretty good match for my MAC NC 20-25 skin. Just a couple of thoughts on the ingredients. You may have seen me mention in this post about my hesitancy towards the sunscreen active ethylhexyl methoxycinnamate - I don't think it's something my skin reacts well to and has the potential to cause cell damage, so I'm not enthralled to see it listed so high in the formula. Further down, it's nice to see some natural extracts, including sea buckthorn, honey, propolis and royal jelly, as I love honey in my skincare, although I would have liked to have seen a 'nicer' oil being used, rather than sunflower. Overall, I'm not going to linger on the ingredients for too long as I think of this more as a makeup item, which I don't judge as astringently as skincare. I'm going to come out pretty early and say that this cushion is not my favourite. My expectations were pretty high, as I love the innovative, bouncy texture of the Jelly Pack, I was hoping the 'jelly' element would come through in this cushion, leaving you with smooth, bouncy skin, but unfortunately it falls a little short of that. The Jelly Cushion isn't the best match for my currently combo skin, as it just looks far too dewy, bordering oily. The texture of it between my fingertips feels a hint greasy, like it hasn't properly emulsified, when I wanted it to feel light but creamy like my Hera cushion for example. 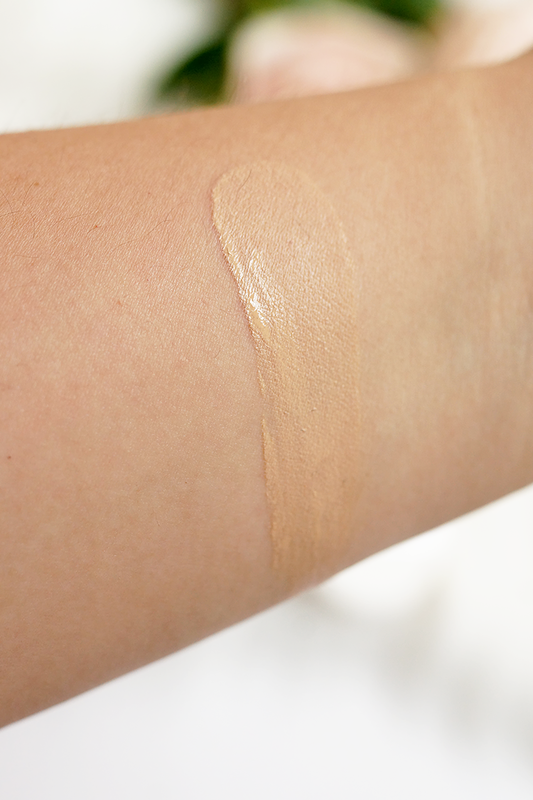 On the skin, this isn't full coverage at all, more of a light to light-medium (although it is definitely buildable), which for me isn't a bad thing. It's super lightweight but it just doesn't sit right. You'll see in the photos that it seems to sit in my pores, exaggerating them, and give my skin a somewhat unflattering sheen that I didn't want. Rather than being water-attracting and plumping, that slick, slightly oily texture doesn't really dry down but manages to leave my skin a little deflated and lacklustre. I've experimented with this a lot over the last couple of months to try and get it to work for me and to be fair, the oiliness didn't get much worse as the hours passed by but it certainly got no better. Powdering it starts to turn things into cake batter and mattifying primers seem to have no real effect. 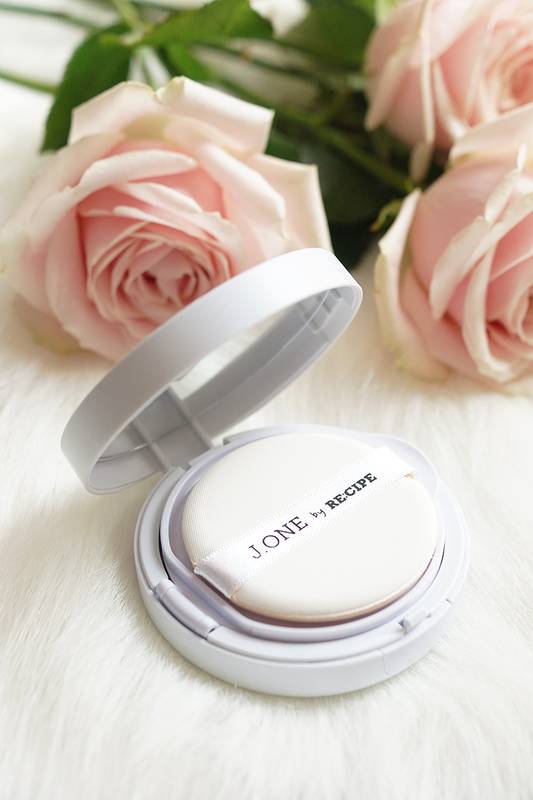 The one thing that does make this a lot better is actually using it in conjunction with the J One Jelly Pack, but I feel that it's the pack that's doing all the work, prepping and priming your skin, plumping it up so that it's taut and hydrated. Using a really good cushion on top of the pack would yield even better results than using this one. I'm not saying that this makes my skin look bad, but I've so many cushions in my collection that I just probably won't reach for this. If you have dry skin that needs moisturisation, you may like this, especially used with the jelly pack. If you favour a dewy look and a light coverage, you may also really like this. For me, it just didn't live up to it's 'jelly' expectations - on my combo skin it felt more like a tinted dry oil, and I kind of just wanted to get it off. 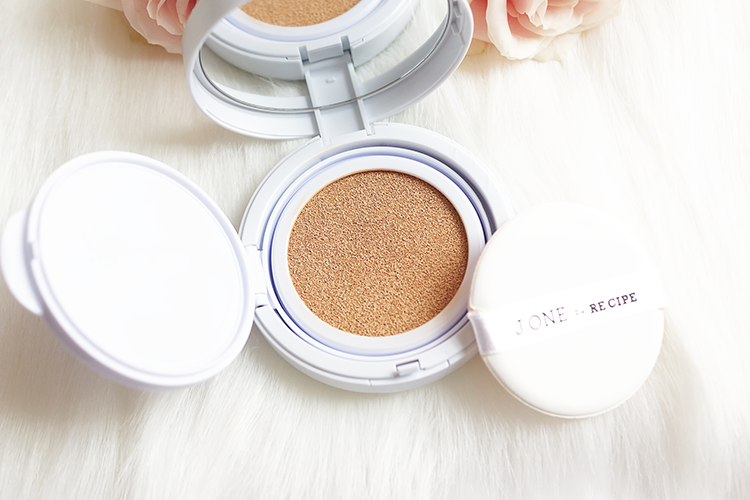 I've not really heard of Recipe cushion foundations and maybe this is why.. For some cushions that I do love, read reviews and try ons of my favourites, the Hera UV Mist here and the Etude House Real Powder here. I can definitely see what you mean about it not sitting right. The light coverage, I think is great, but this definitely has an extreme dewiness to it and exaggerates your pores. Definitely a bummer, but overall, you're right. It's good for some other skin types, probably! I've always wanted to try Korean beauty products, and now I know not to go for this particular cushion! This foundation looks stunning! I definitely need to pick it up! 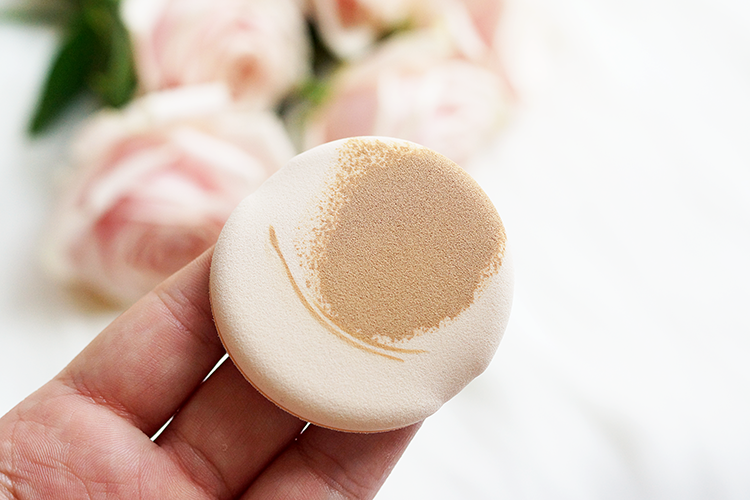 i've actually been interested in trying a cushion foundation, shame this didn't work for you! with my skin type it doesn't really sound like it would be great for me either.